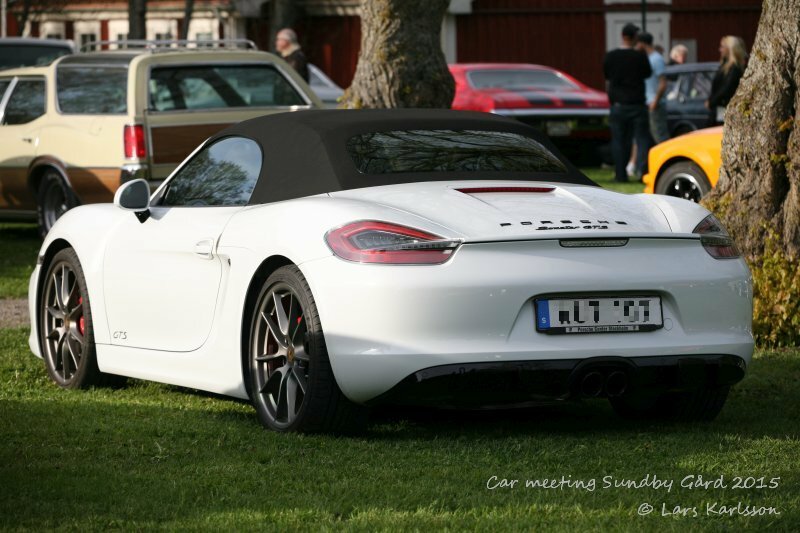 Every Summer the last years it have been car meetings at Sundby Gård. Not far away from where I live and I visit it one or two evenings a month in the summers. 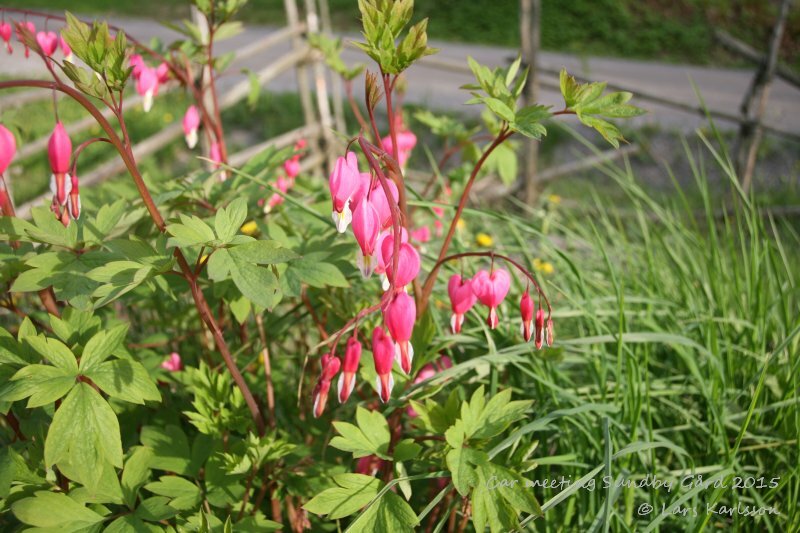 You find the place in Sweden, Stockholm Huddinge. 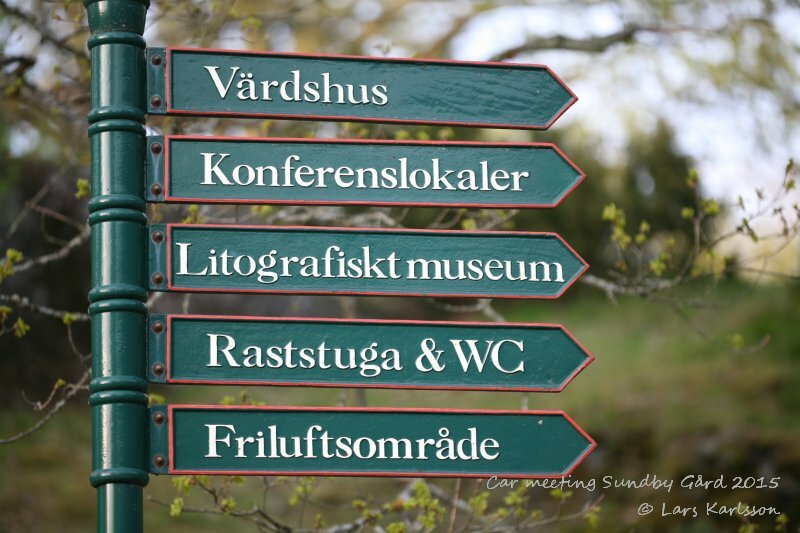 You can read here when they have open, normally every Wednesdays with start about 5 pm when there is a fine weather. 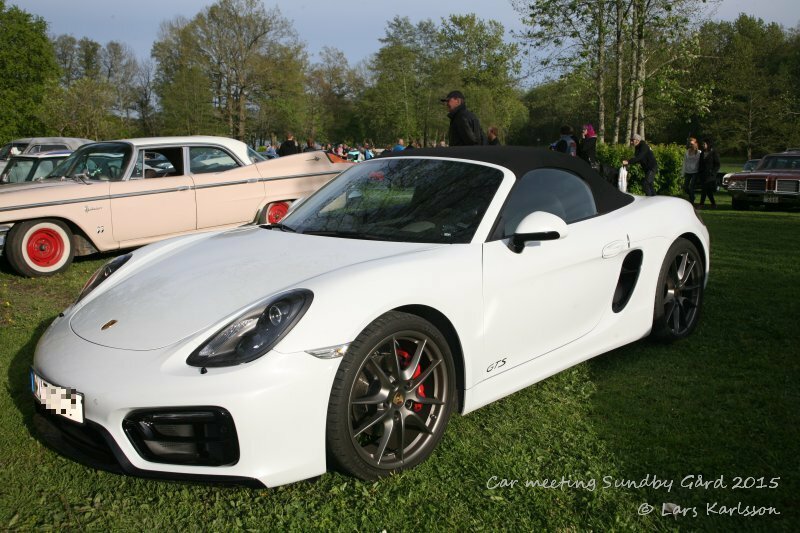 A modern sport car, It's a 2014 years Porsche Boxster GTS, but otherwise I don't know so much about this car. But I'm sure it has a 6 cylinder boxer engine. 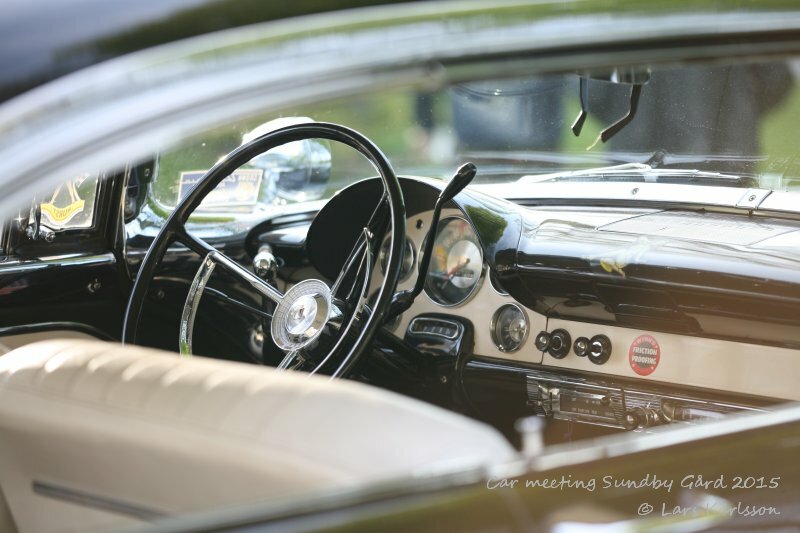 A 1955 years Ford Thunderbird, first generation. 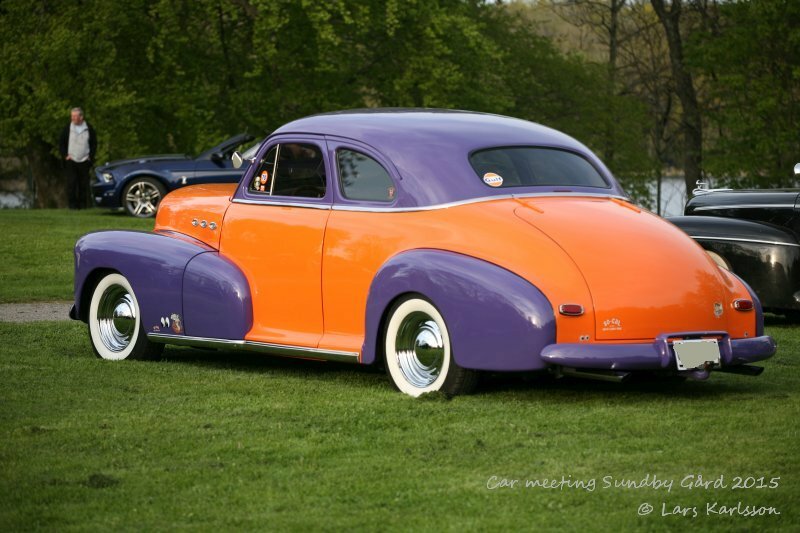 This car was two seats only, first year and very attractive. Could this maybe be a Plymouth from 1930s ? 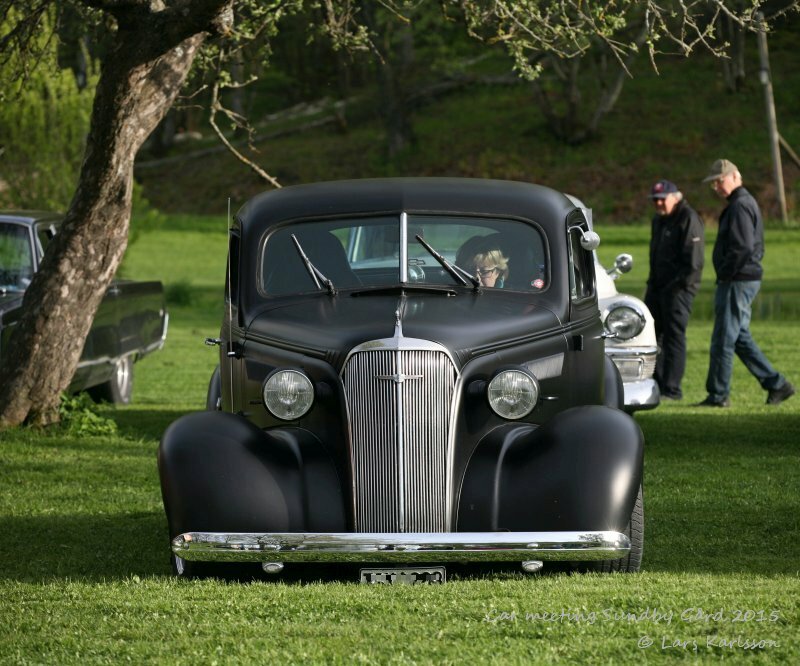 No, after some research on internet I found that it's a Chevrolet Master, they where manufactured between 1933 and 1942. 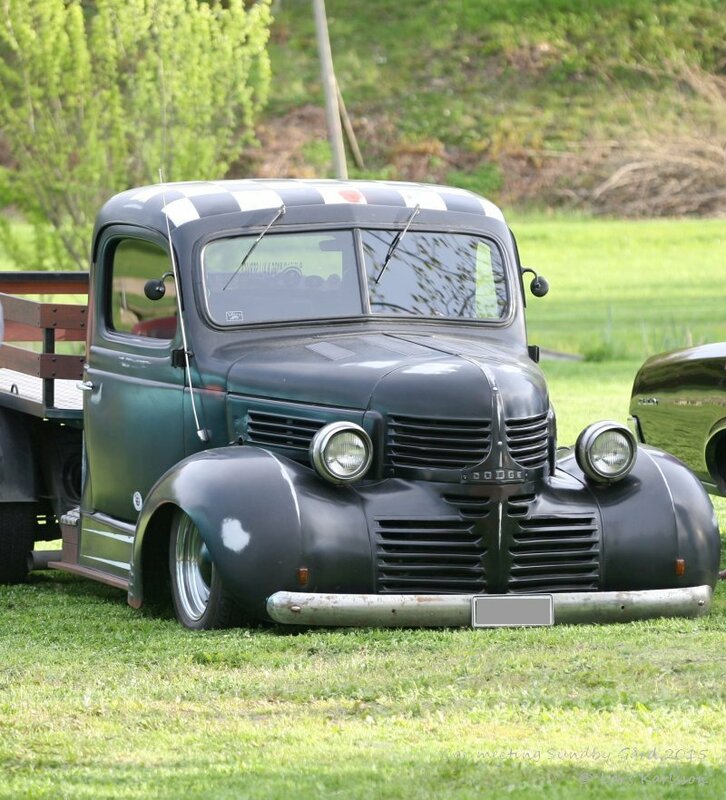 A 1950 years Ford Custom, still flatheads V8s. 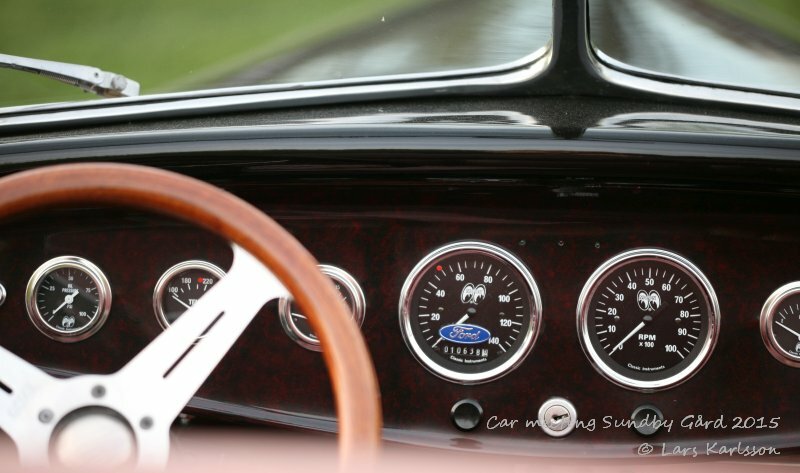 Ford Thunderbird from mid 1960s, look at the instrumentation, very special. 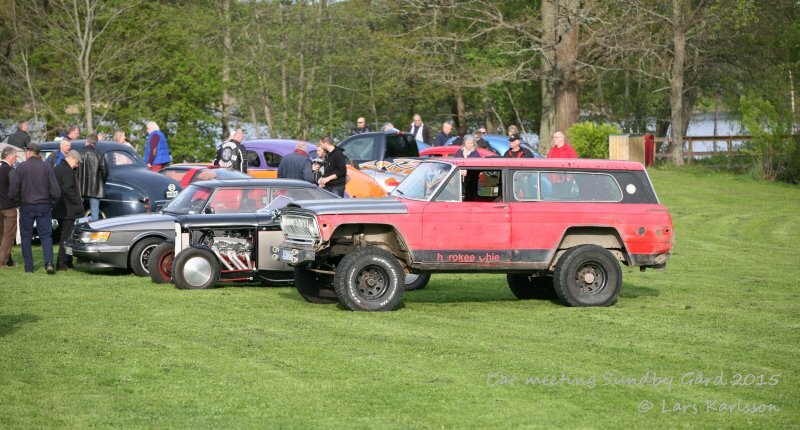 A four wheel drive Jeep Cherokee Chief from mid 1970s, the most attractive model. 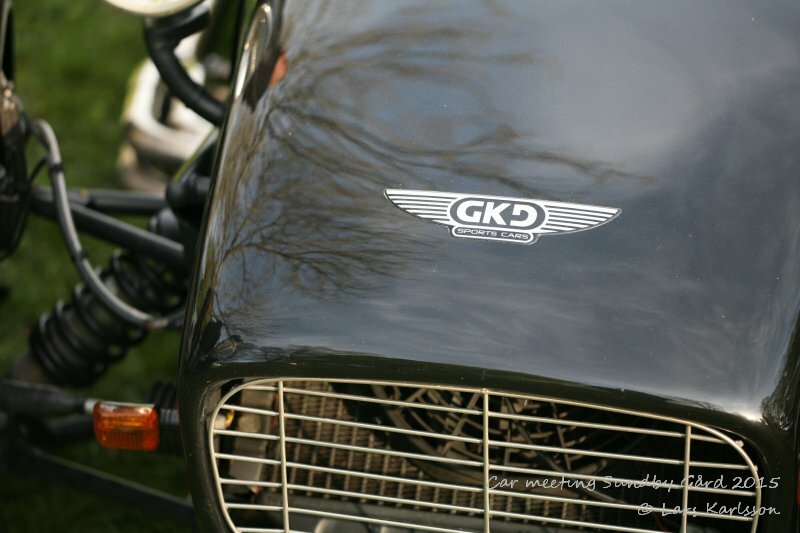 I almost bought one many years ago, but the high fuel consumption discouraged me. 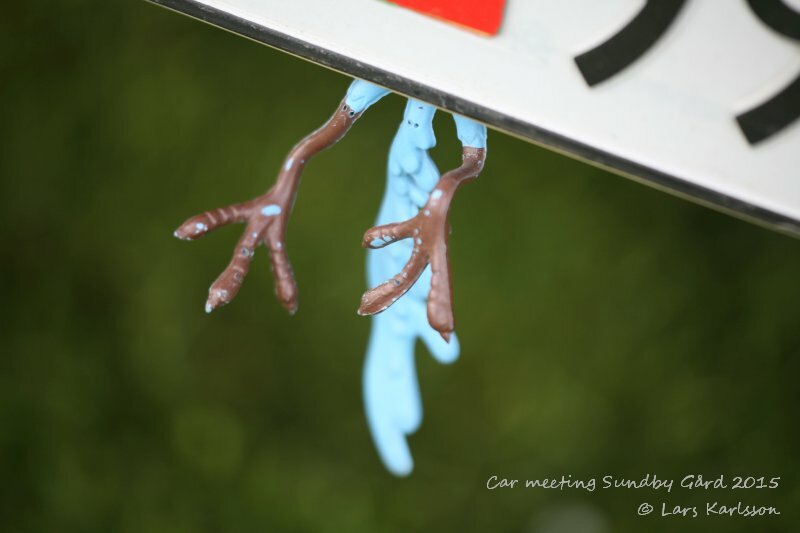 A 1955 years Ford Thunderbird, exhaust pipes through the bumber! 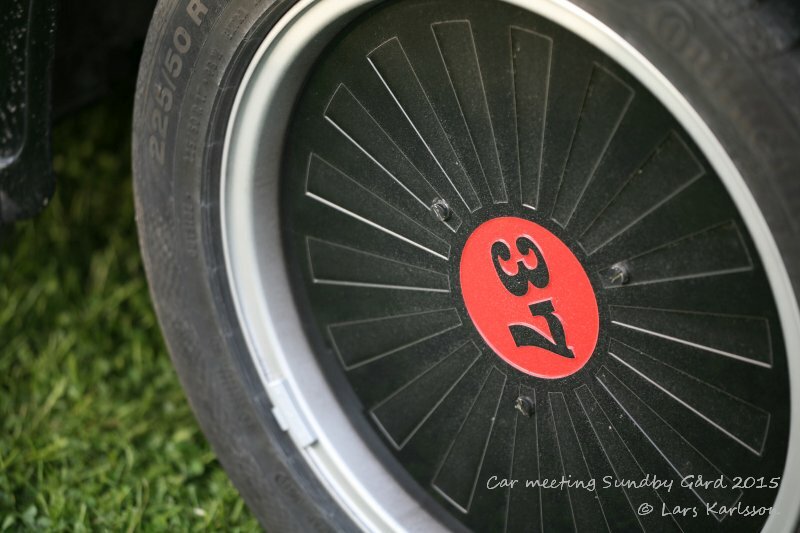 Ford Thunderbird 1955, classic aftermarket wheels from maybe the 1970s. 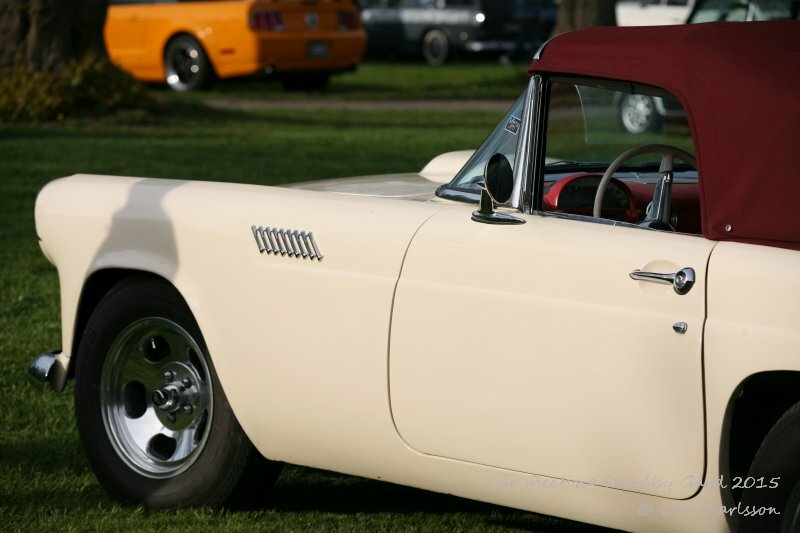 A 1951 years Studebaker Champion, it was for sale if I remember correct. 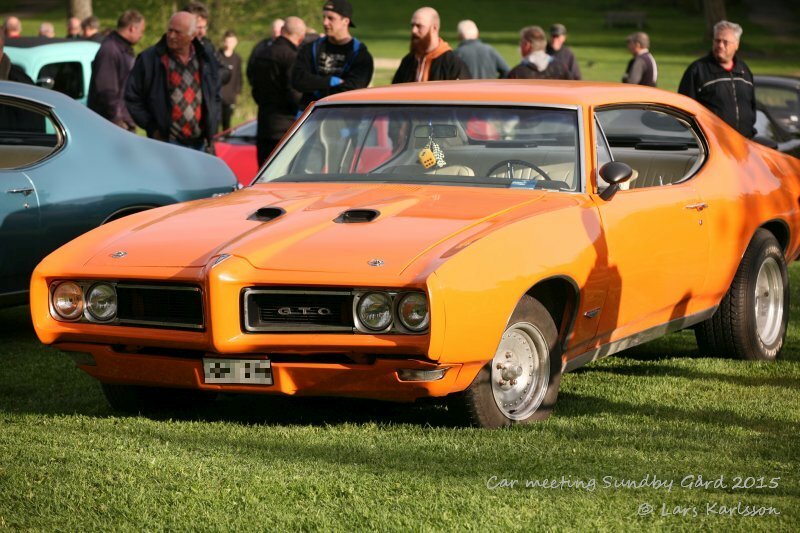 A 1968 years Pontiac GTO. Dodge pickup from 1930s. Very low in front. 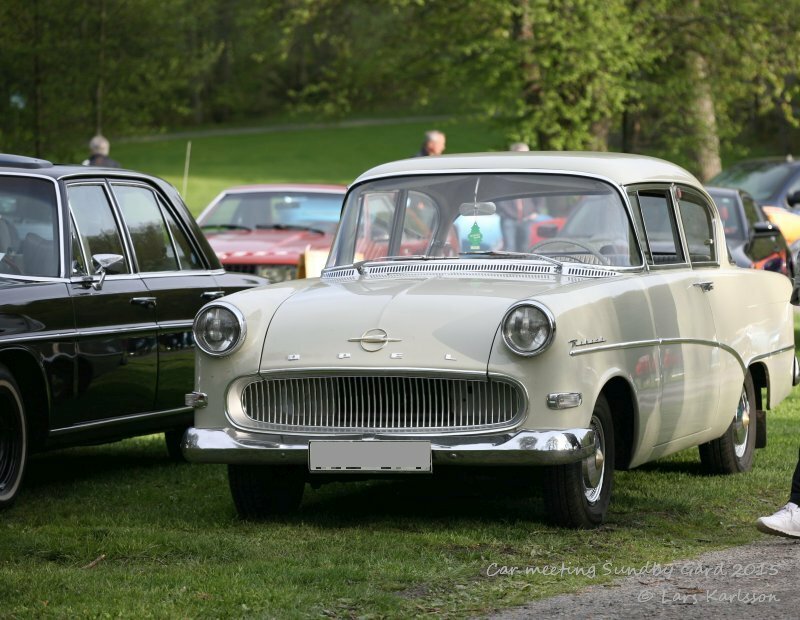 1959 years Opel Rekord, my father had a red 1965 years Opel Rekord, a big car but rust everywhere. 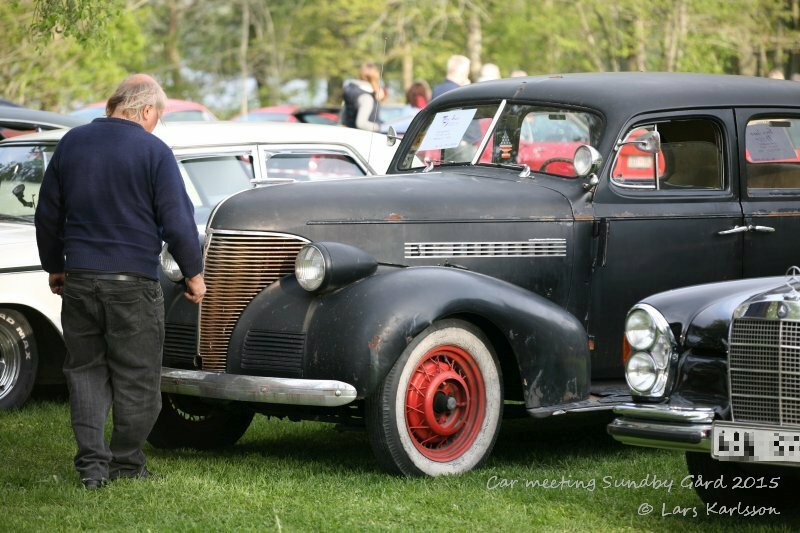 Could it be a Buick from the 1940s ? 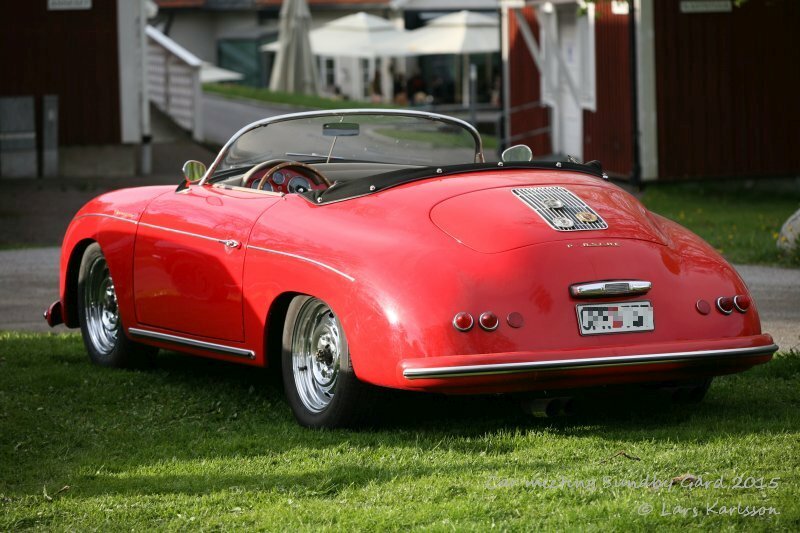 This car, a Porsche 356 replica visits Sundby Gård very often. Built on a 1970 years Volkswagen 1500 chassis, look very nice. 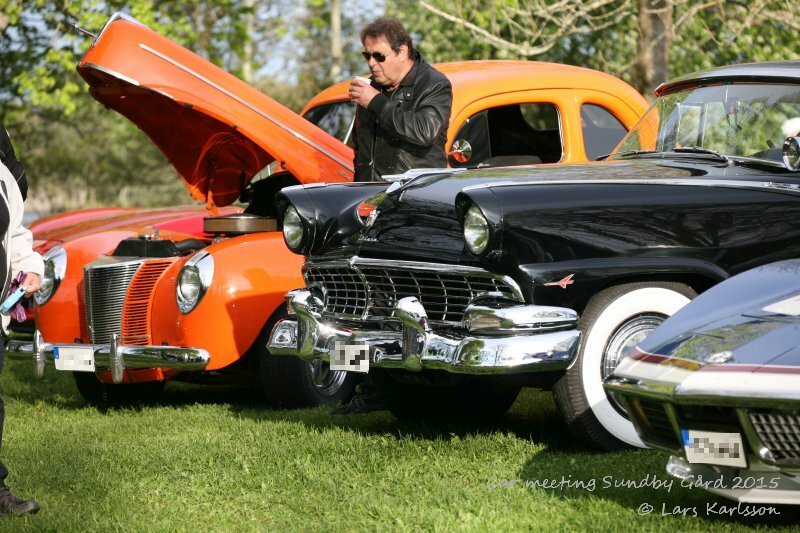 One Ford from 1940 years Ford De Luxe Coupe, one 1956 years Ford Fairlane Victoria and a 1972 years Chevrolet Corvette. An early Ford Mustang, maybe a 1965 years model. The engine seems to be replaced with a newer and bigger 351 Windsor. 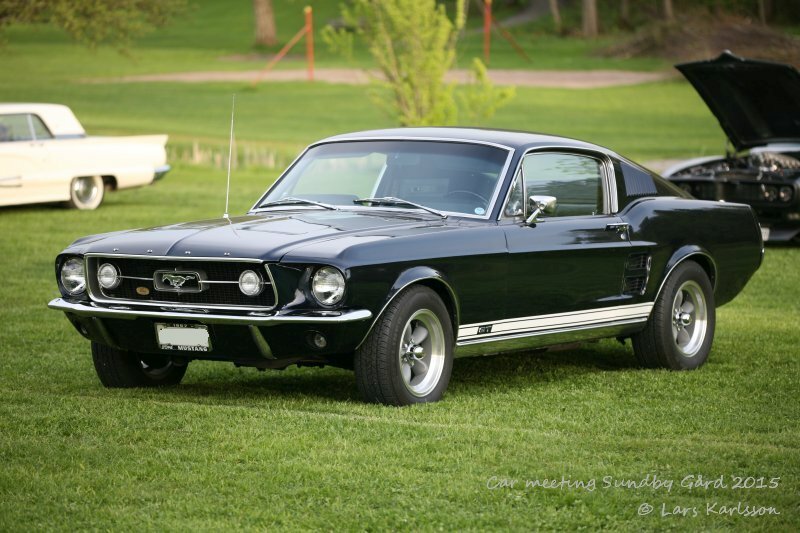 I had a Ford Mustang coupe 1967, that was my first car. 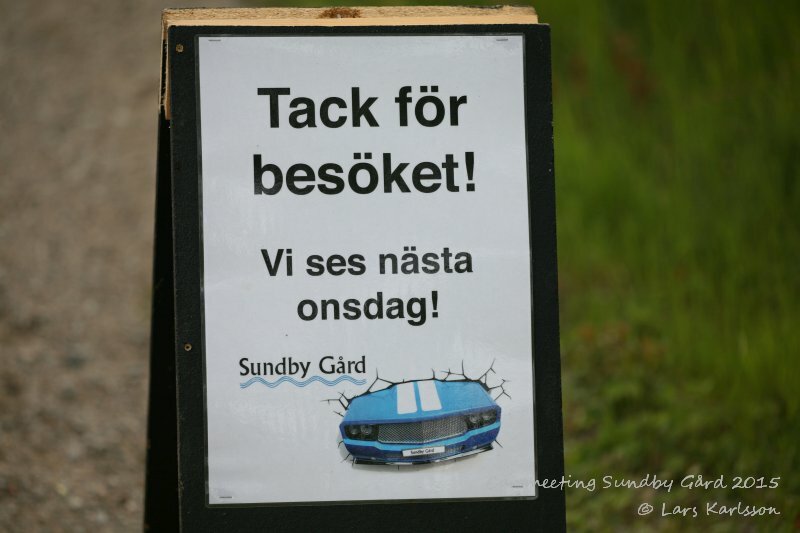 At Sundby Gård you can eat hamburgers or hot dogs. Inside the restaurant, they have other dishes to choose from too. 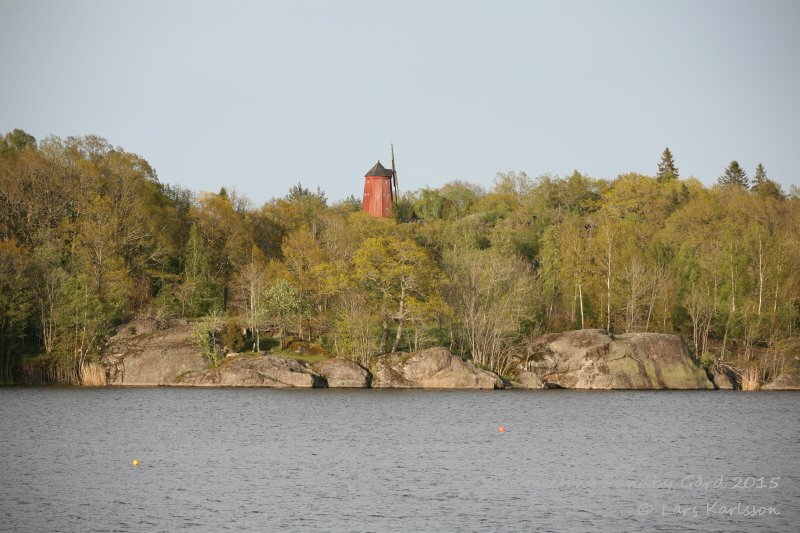 It's very beautiful here at Sundby Gård, a nearby lake just outside the restaurant where you can take a bath. 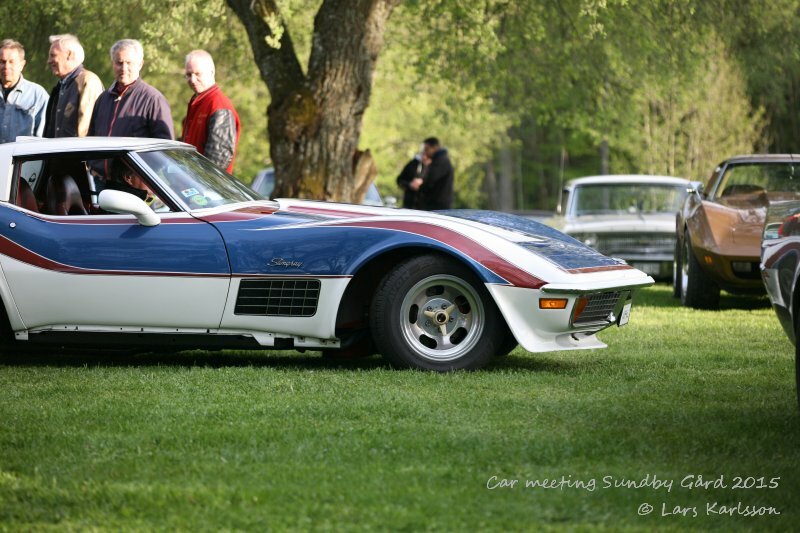 A 1972 years Chevrolet Corvette, this year the horse power goes down because of smog engines. 1973 years Safir GT 40, a very rare car, Safir continue to use Fords trademark after Ford stopped the production of the GT40. 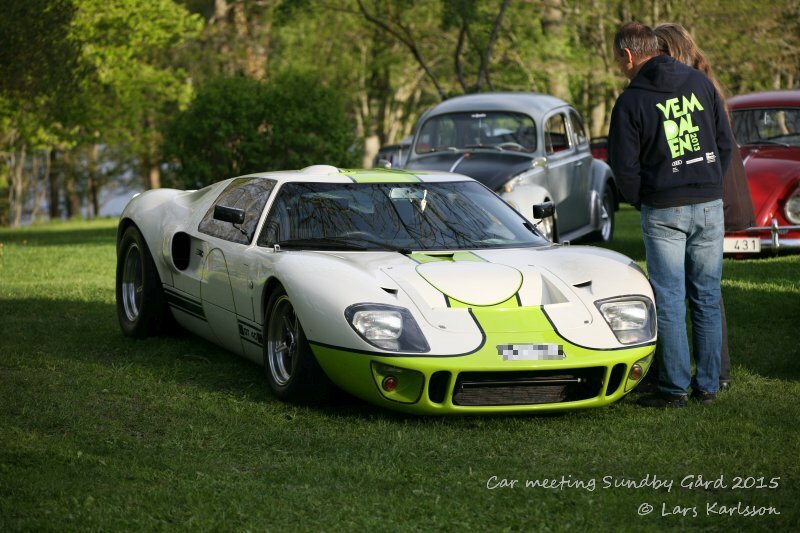 Ford GT40 come after the famous Ford AC Cobra. 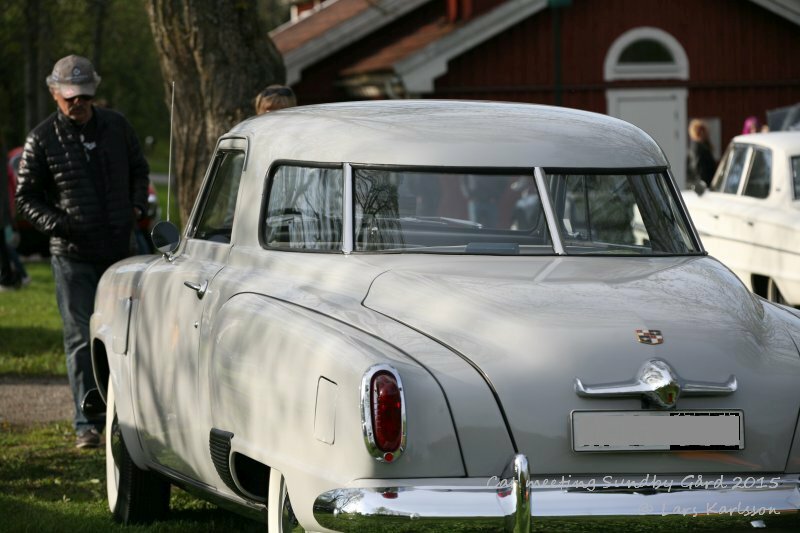 A two door hard top, I think it's from the 1950s, but what car is it? 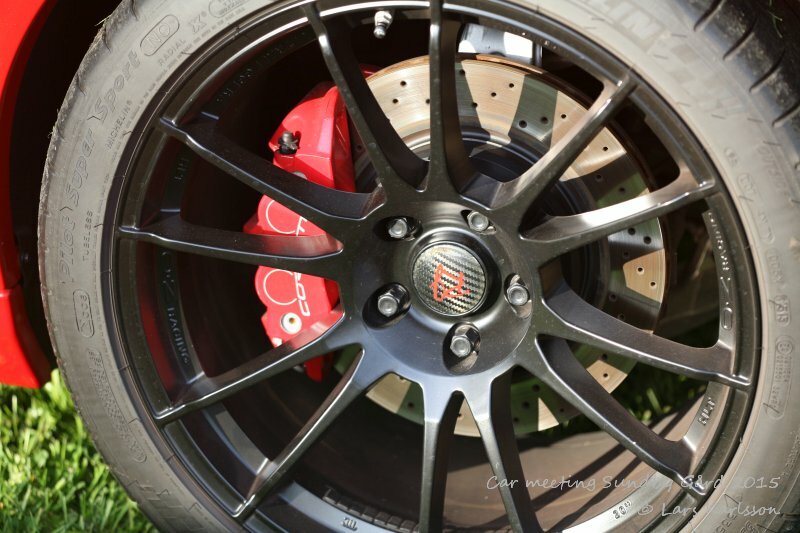 Four calipers disc brake from a Chevrolet Corvette of later model. 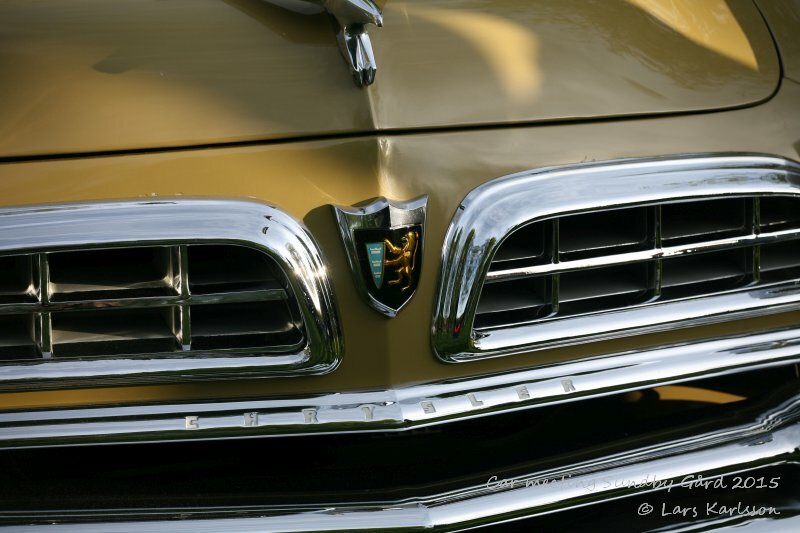 Chrysler from mid 1950s, could have a Hemi engine. 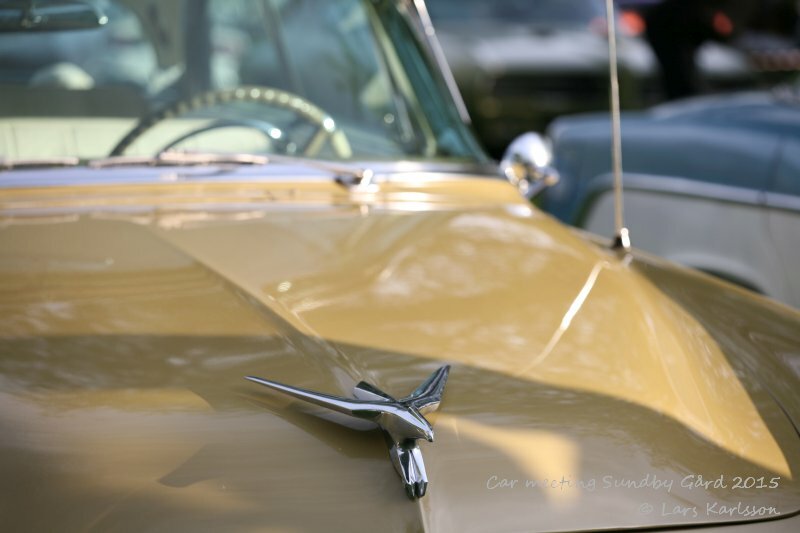 Chrysler with a beautiful bird on the hood, hood ornament like this isn't legal to have of today cars of safety reasons. 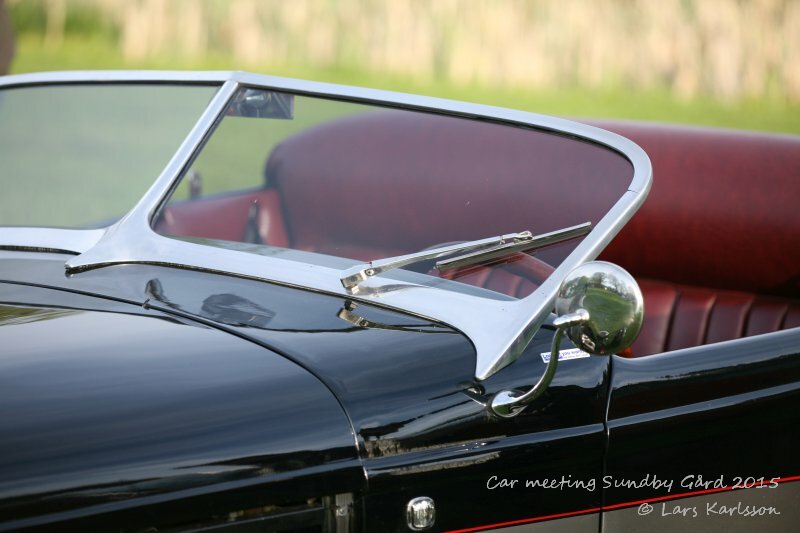 Lotus Seven was a popular small sport car, many replicas have been made of these. Two Volkswagen maybe from early 1960s. 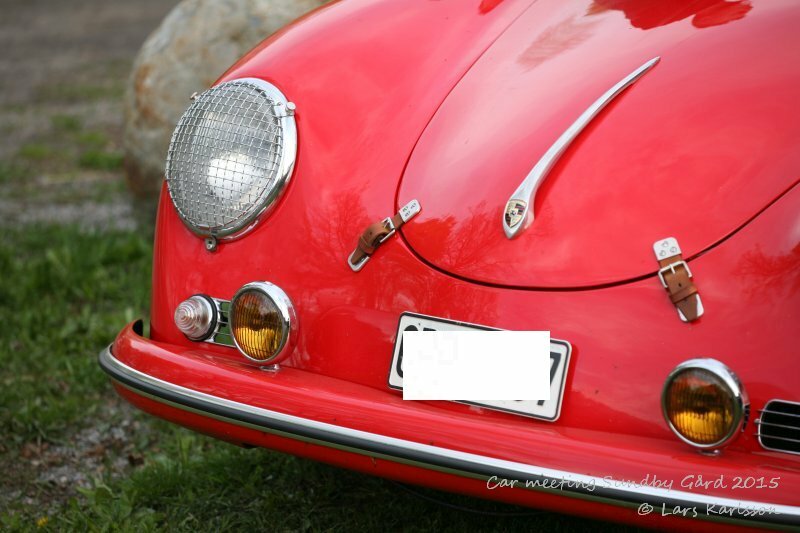 Both I and my father had have a Volkswagen or Beetle as many people say. 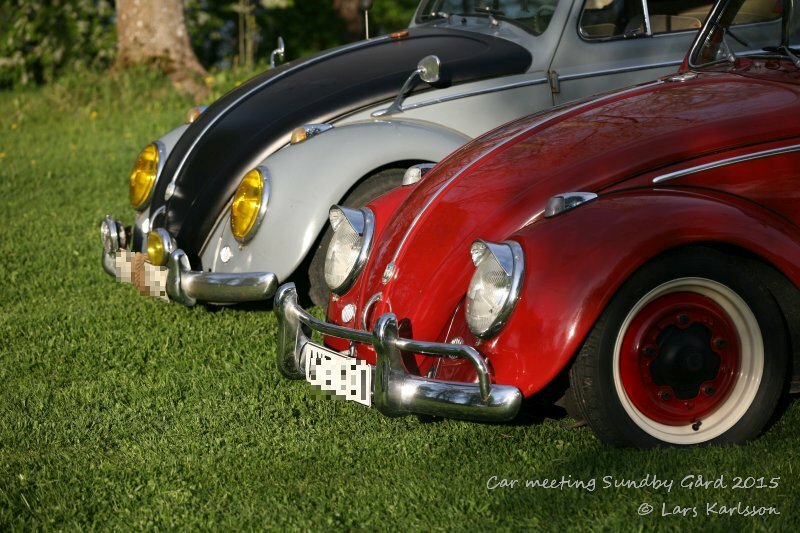 Volkswagen is German and means Peoples Wagon, in Sweden we say Folkvagn, or in short Folka. But many people here say also Bubbla (which means bubble). 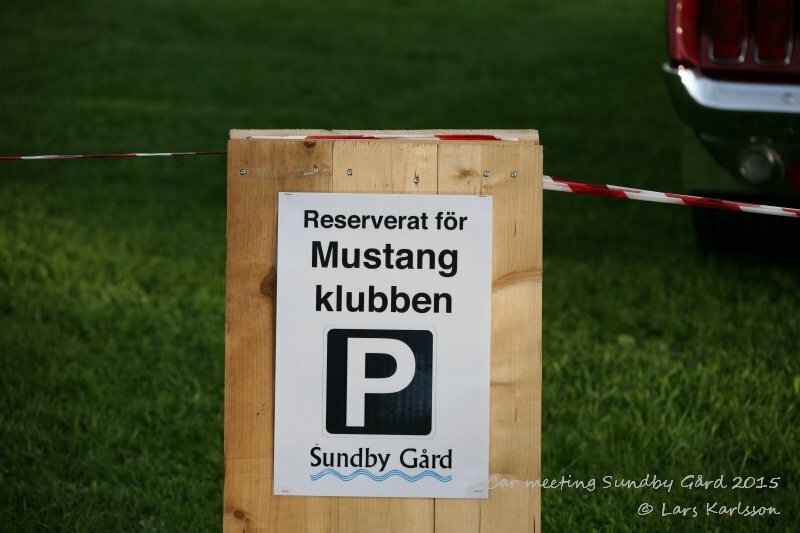 Only Ford Mustang parking ! 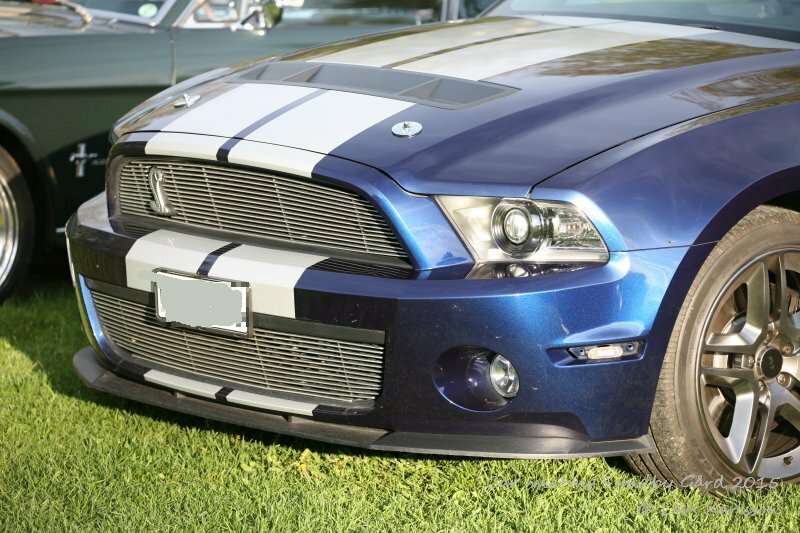 This 2012 years Ford Mustang Shelby is a look back to the 1960s to 1970s classic Mustang. Maybe it have a high power engine with a compressor, then about 500 horse powers. 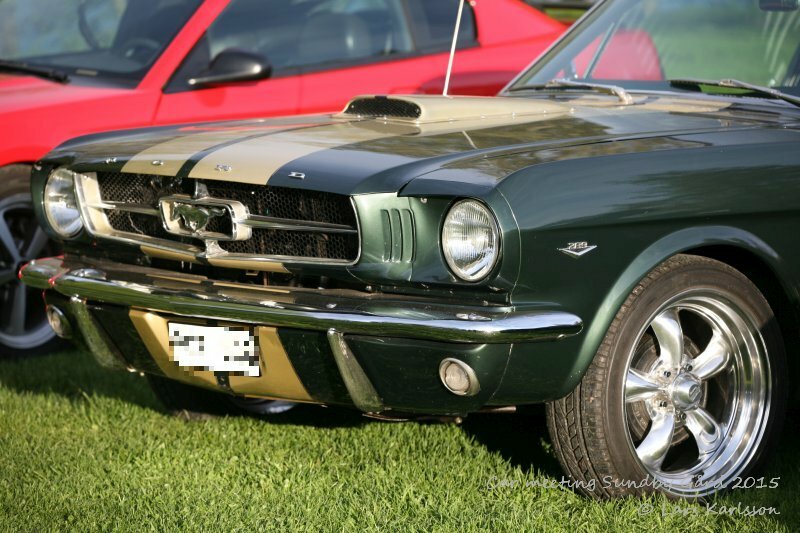 1965 years Ford Mustang with a 289 V8 engine. 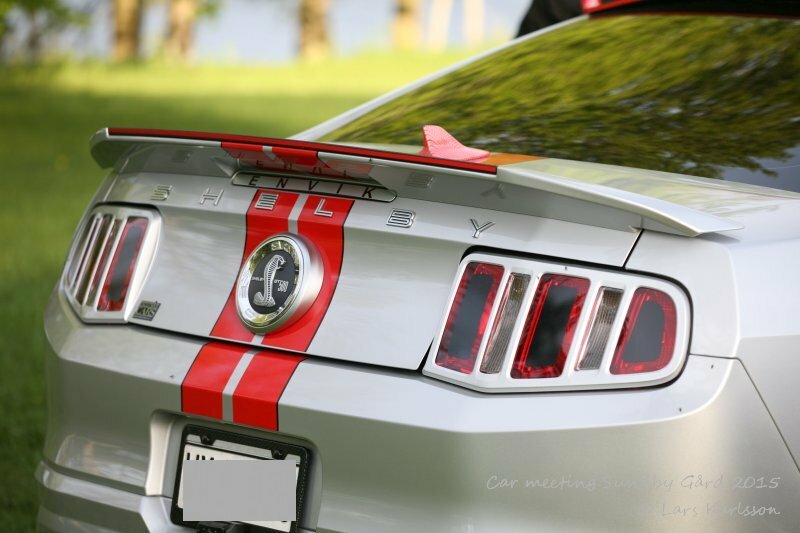 2012 years Ford Mustang 500 GT, The 500 GTs has compressor charged engines and have more than 500 horse powers. 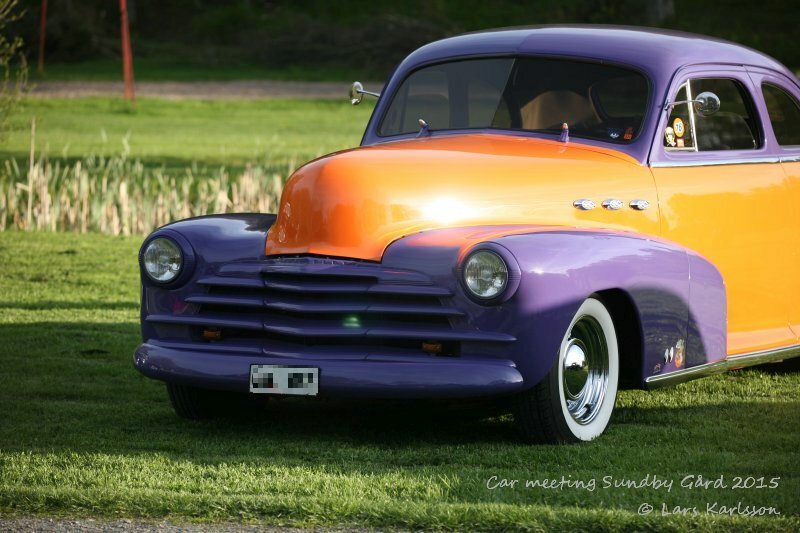 1947 years Chevrolet Stylemaster. 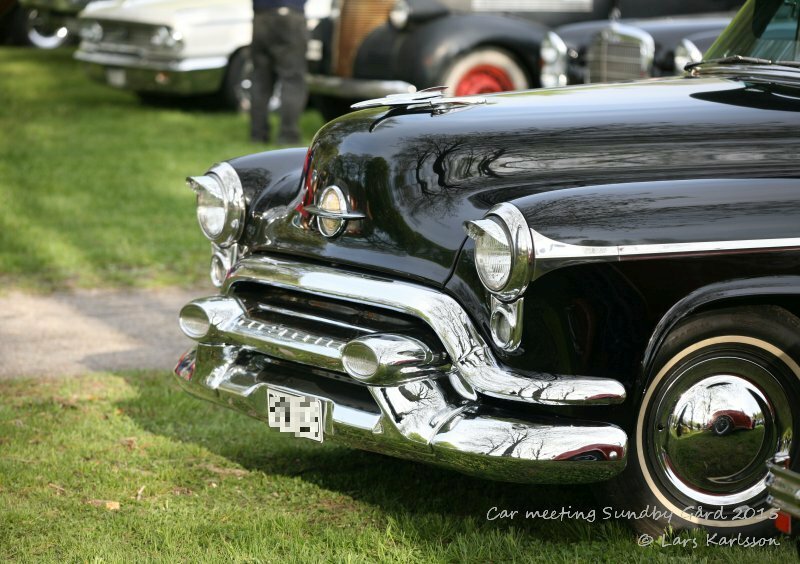 Chevrolet was late with their V8s, not until mid 1950s they came. Ford had their popular flathead V8s already in 1930s. 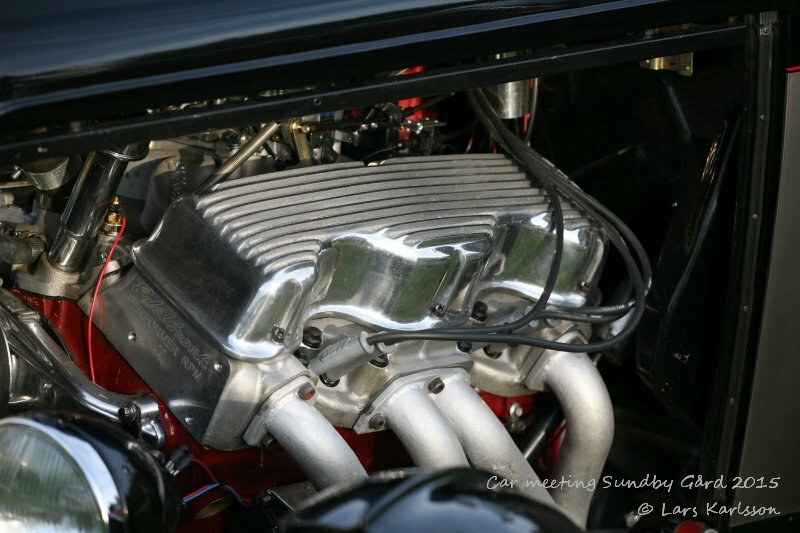 Compressor with two four-barrel Edelbrock carburetors right through the hood, impressive! Nice Hot Rod with an early Chevrolet big block engine, the window is a DuVall aftermarket kit. 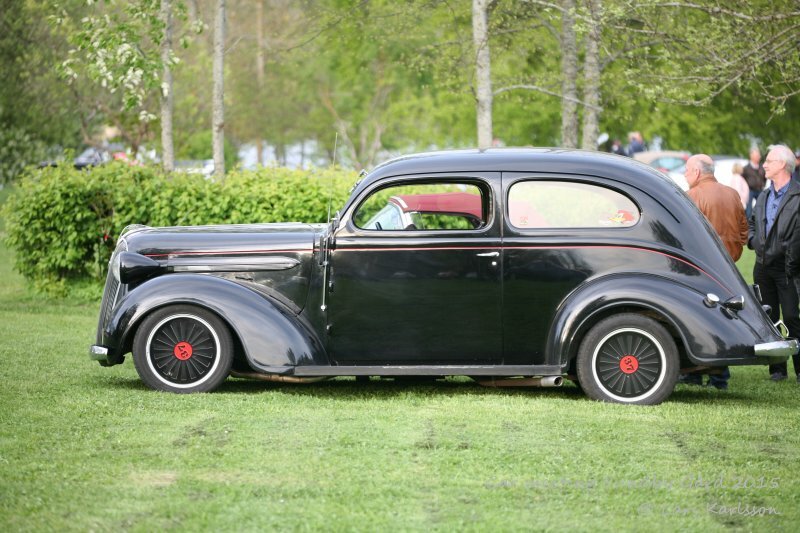 The chassis could be a 1932 years Ford. 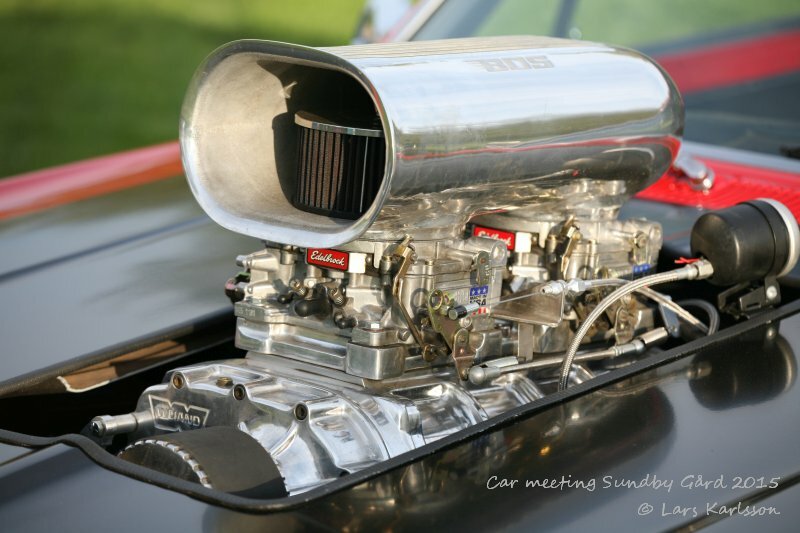 Chevrolet's first big block engine, I believe it's a 409. 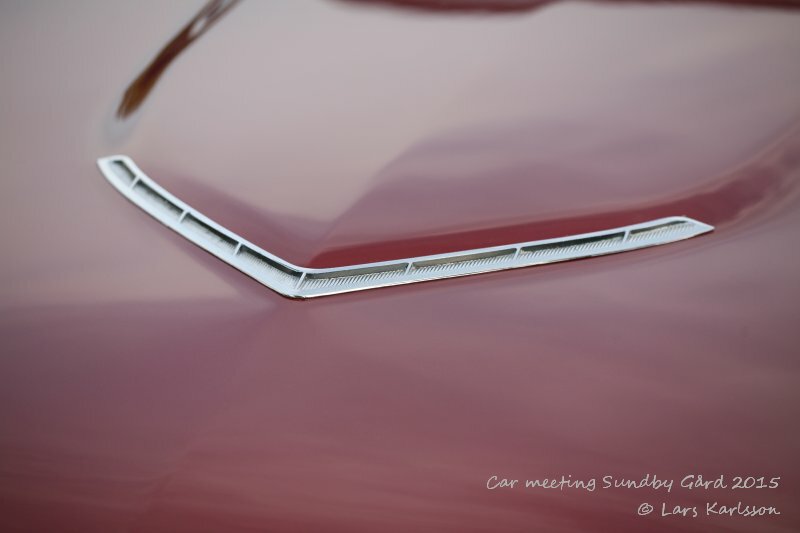 From the beginning it was used in Chevrolet trucks at the 1950s. Hard to find today. 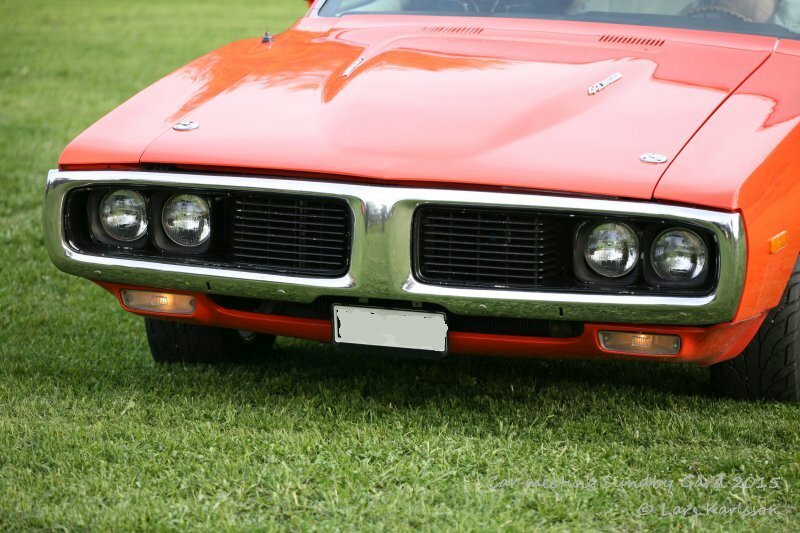 1969 years Oldsmobile Cutlass 442, a very rare car. 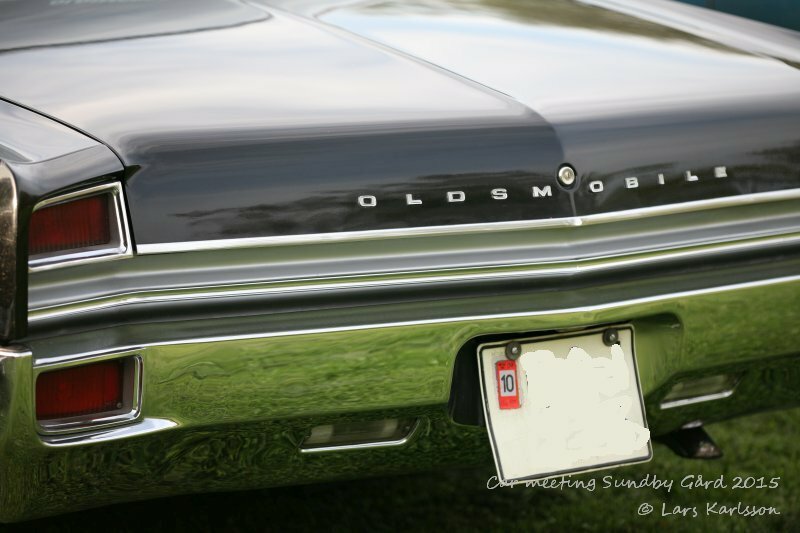 Oldsmobile's answer to other car manufactures muscle cars. 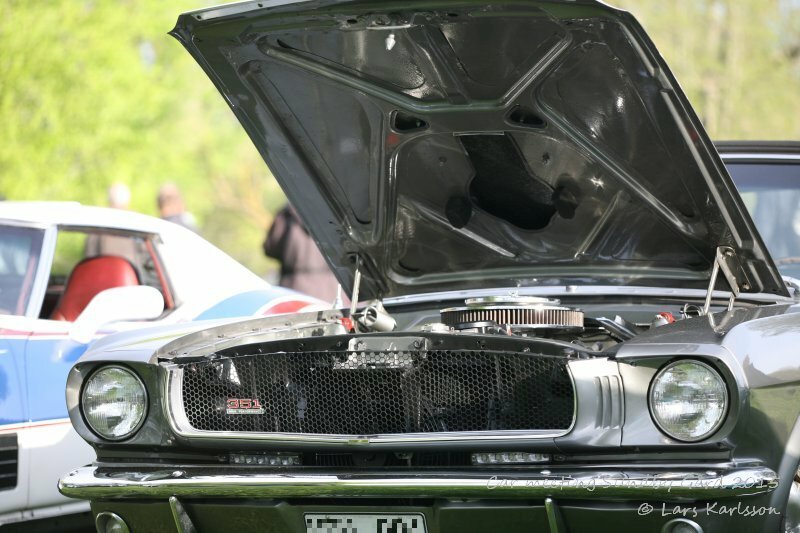 Muscle cars are cars are normally cars with a relative small body and a big engine with lot of horse powers. Started about 1965 and last to 1971. Today you maybe don't call a car like this small, and even the small engines in that time are huge compare to what we have today. 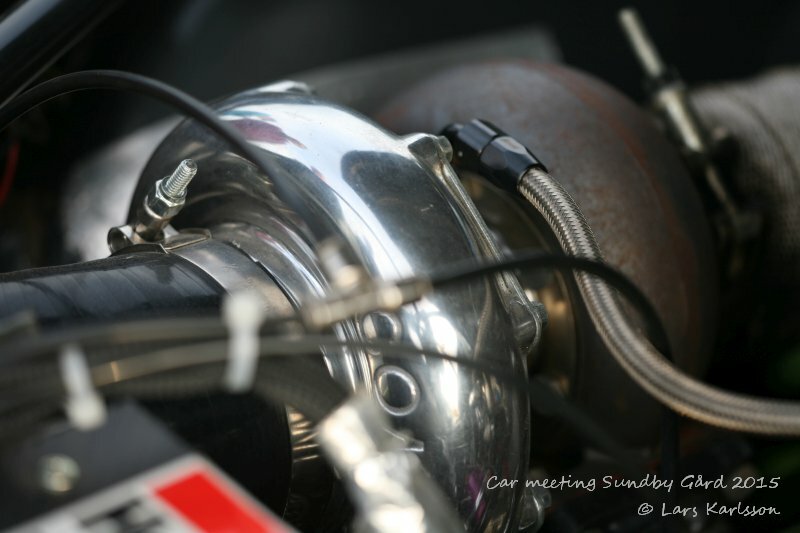 But lot of horse powers we have today and that in very small engines. 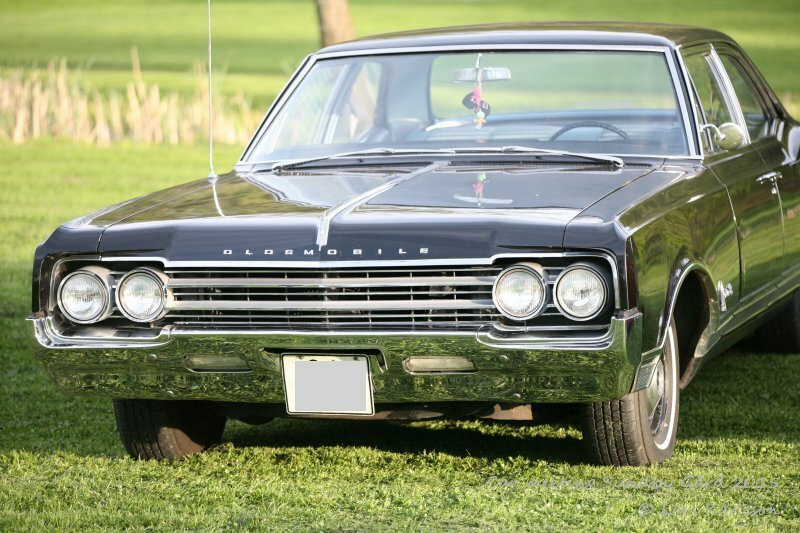 1965 years Oldsmobile, I think it's a F85 or a Cutlass. Rear air outlet of a Chevrolet Impala 1958, the body of 1958 years Chevrolet was unique, only this year. Ford Thunderbird, maybe a 1965 years model. 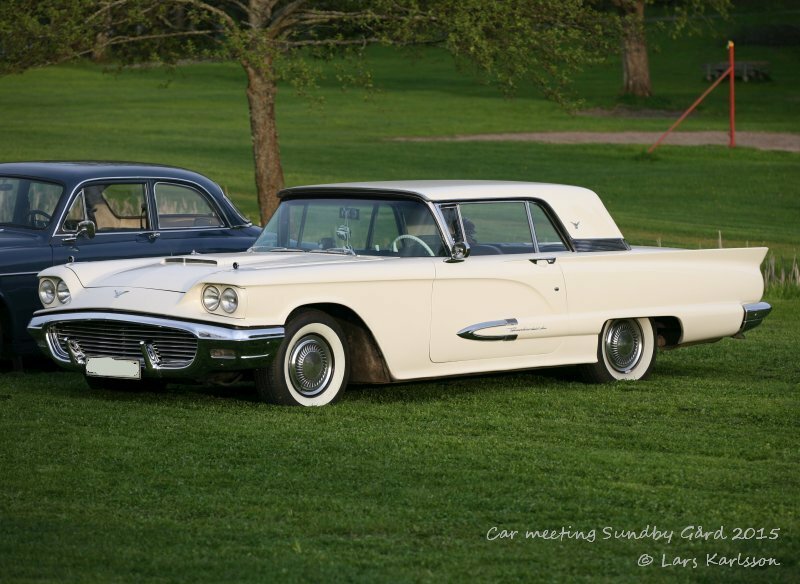 In some way this Thunderbirds looks like a bigger Ford Mustang with twin headlights. 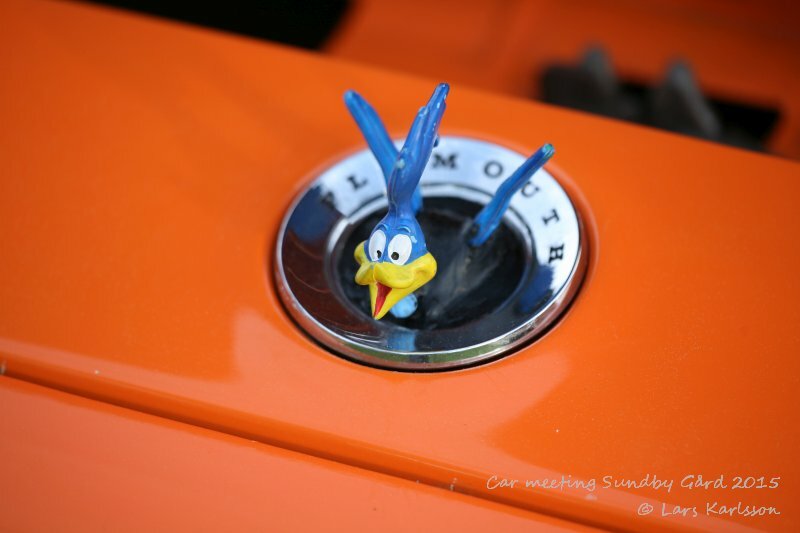 Plymouth Road Runner from early 1970s. 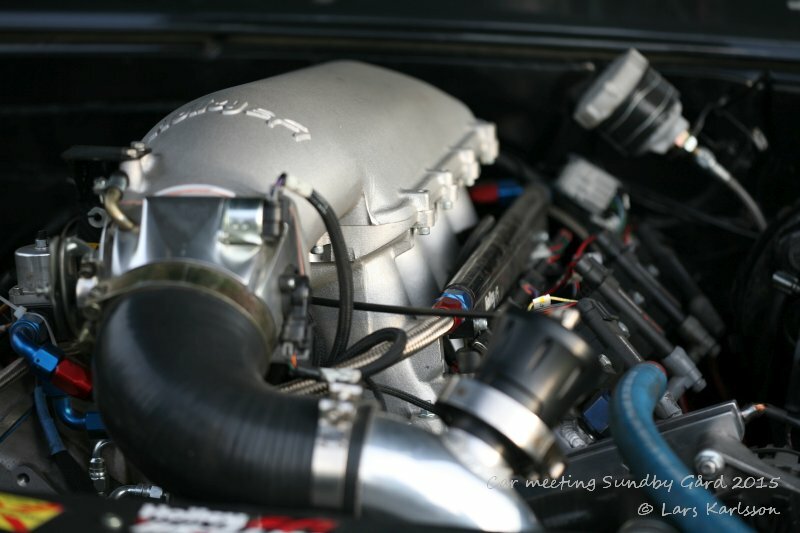 A high performance car with a big and powerful V8. 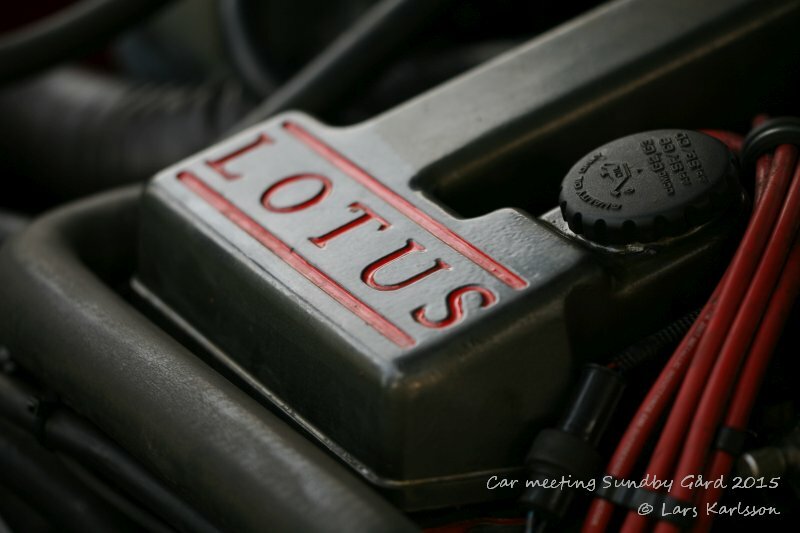 Lotus 4 cylinder inline engine. 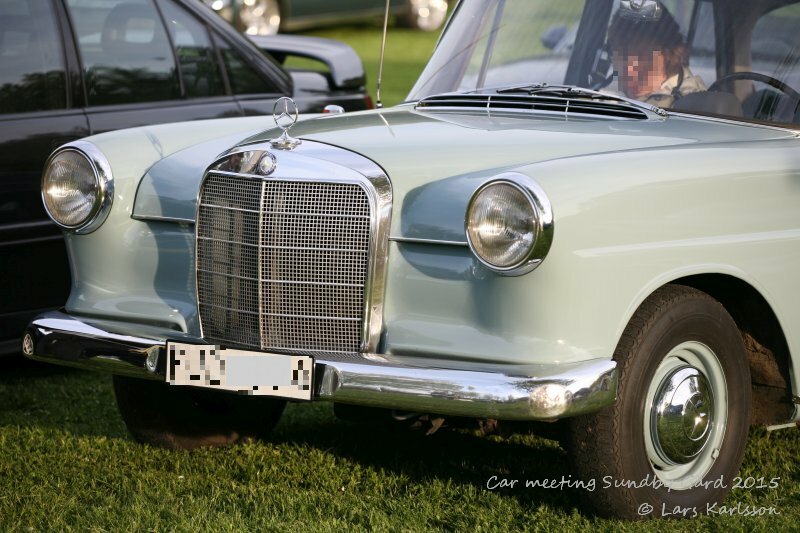 My father had a Mercedes Benz like this one, same color to, Mercedes 190 from year 1965. 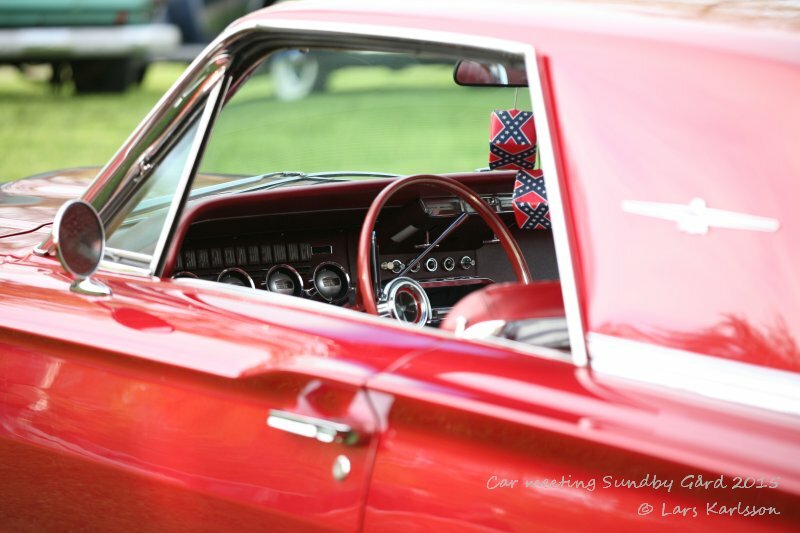 The owner told me that they have had this car many years and spent many hours to restorate it. 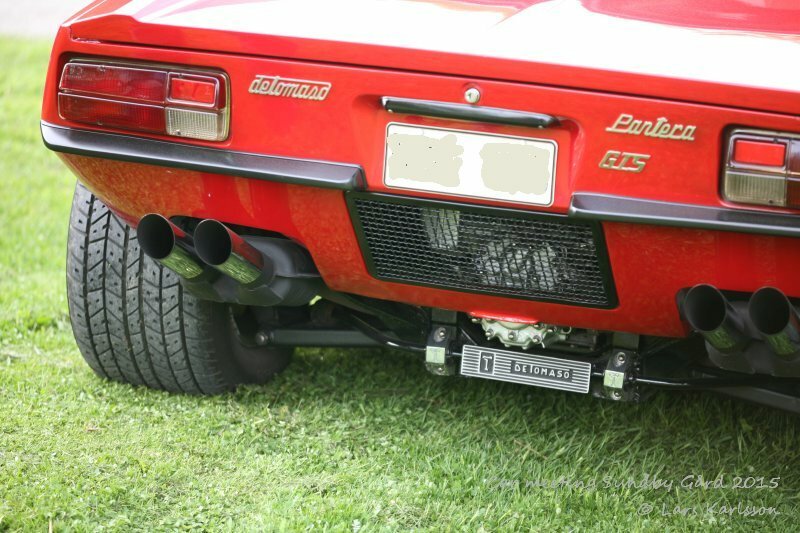 De Tomaso Pantera, manufactured between 1971 to 1991. 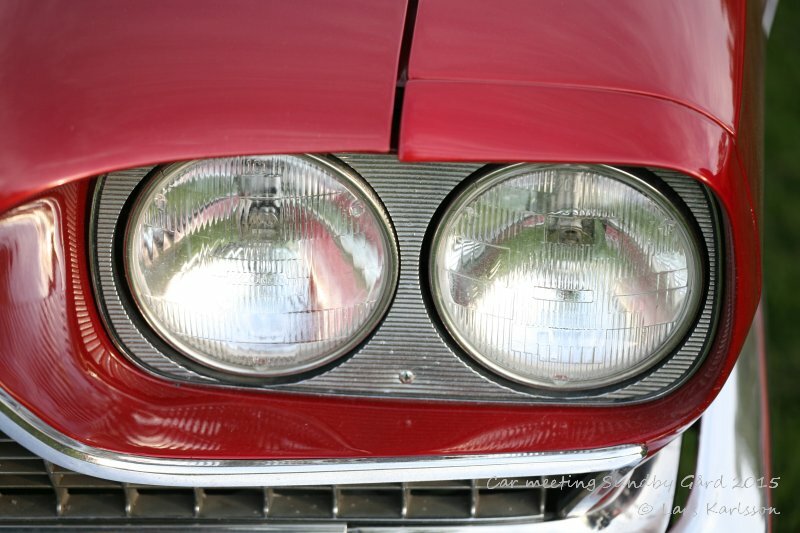 An Italian car with a US Ford powerful 351 Cleveland V8 engine the first years. Only 7260 produced. 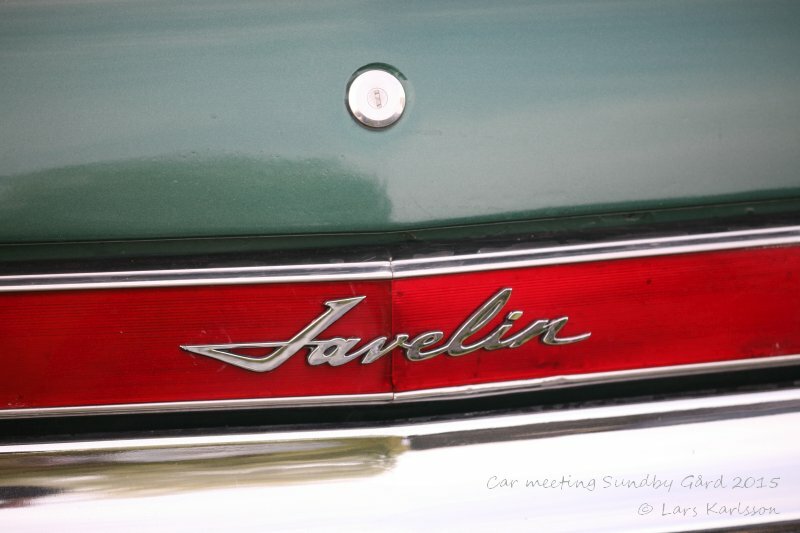 An AMC Javelin, a rare muscle car from early 1970s. 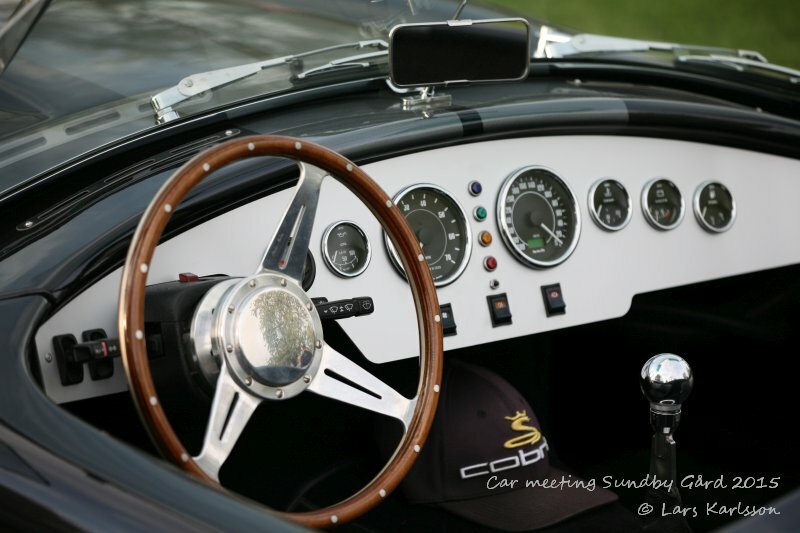 An AC Cobra, the most popular car to made replicas of, from beginning an British sport car that US Ford put in their V8s in it for race. The most beefy engine was the big block 427 side oiler. He told me that with twin four-barrel carburetors they reach about 800 horse powers. He could have bought one of this cars for nothing after the race, he didn't. He couldn't know what popular and expensive they would became in future. A Chrysler? 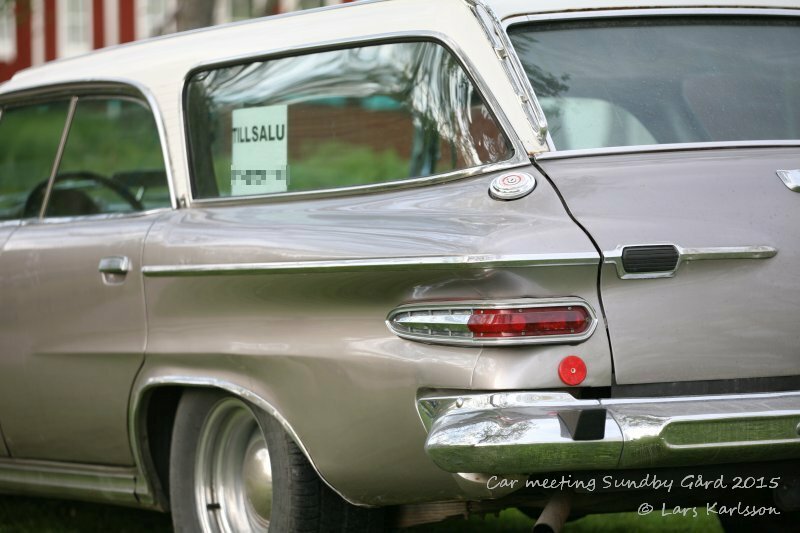 No it's a Dodge Custom 880 station wagon of year 1963. 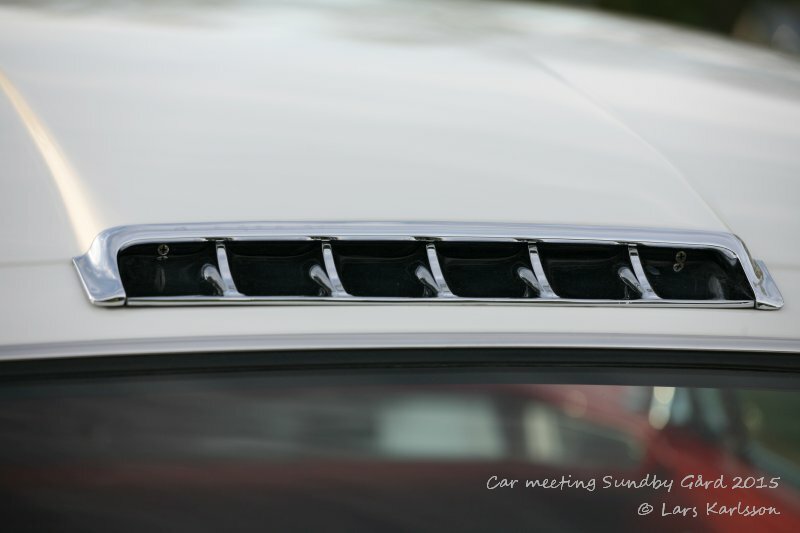 Not so common that station wagons are built as a four door hard top. It was Gary who solved what car it was. Mopar is the parts, service and customer care organization within Chrysler, Plymouth, Dodge, Desoto and Imperial. 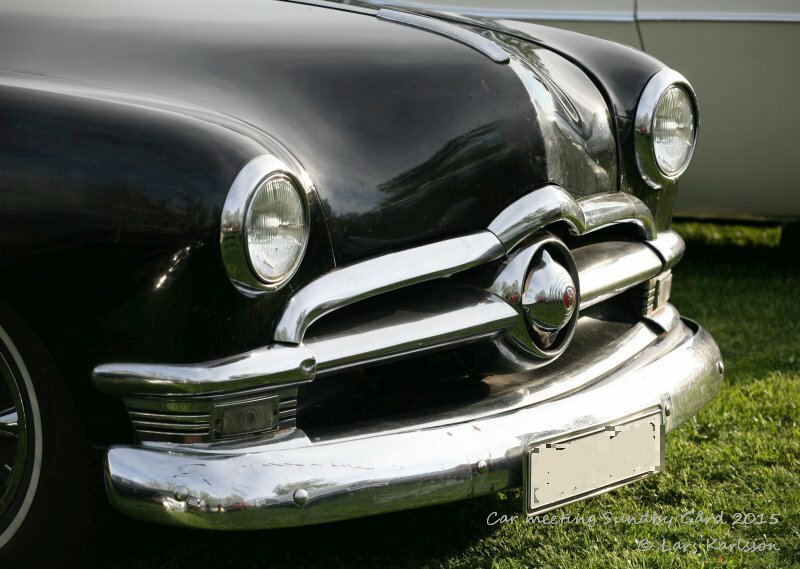 The name derives from a combination of letters from the words "MOtor" and "PARts" Today it's only Chrysler and Dodge left. Even worse, Chrysler is owned by Fiat today! 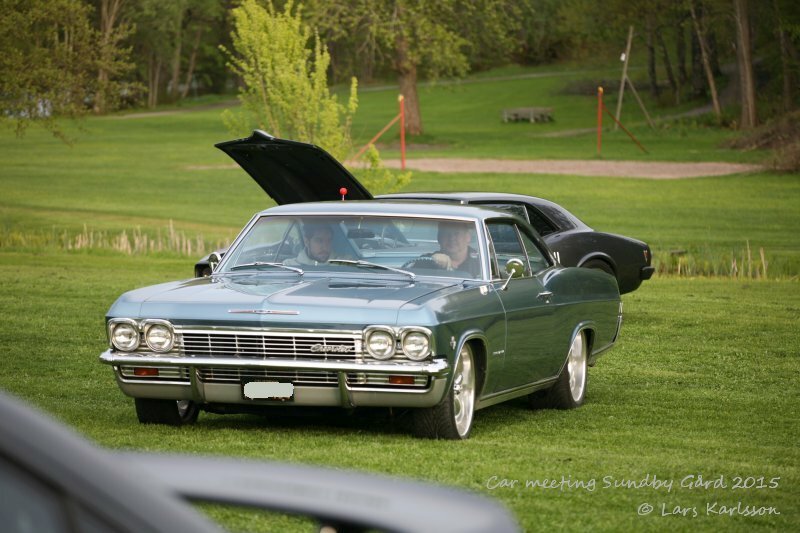 The owner want to sell the car to you! 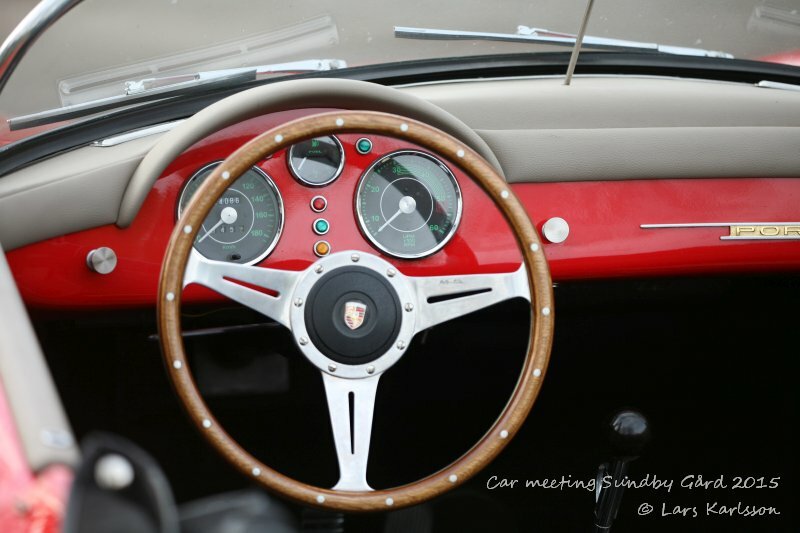 Porsche 356, the owner has built this replica very well. 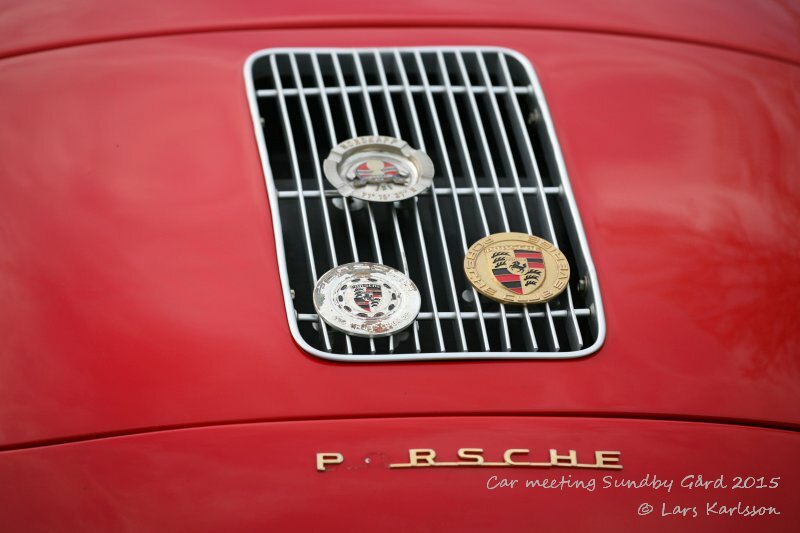 Porsche 356, engine rear air ventilation outlet. 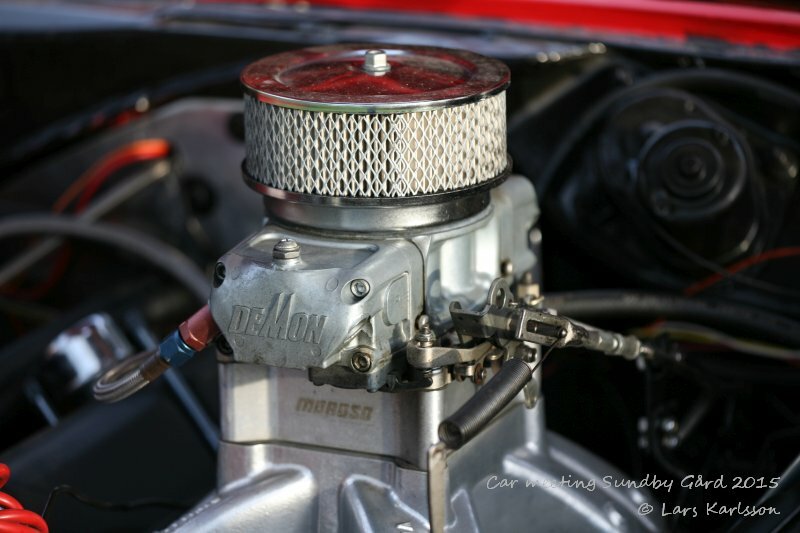 An aftermarket Demon carburetor, an alternative to the more famous Holley. 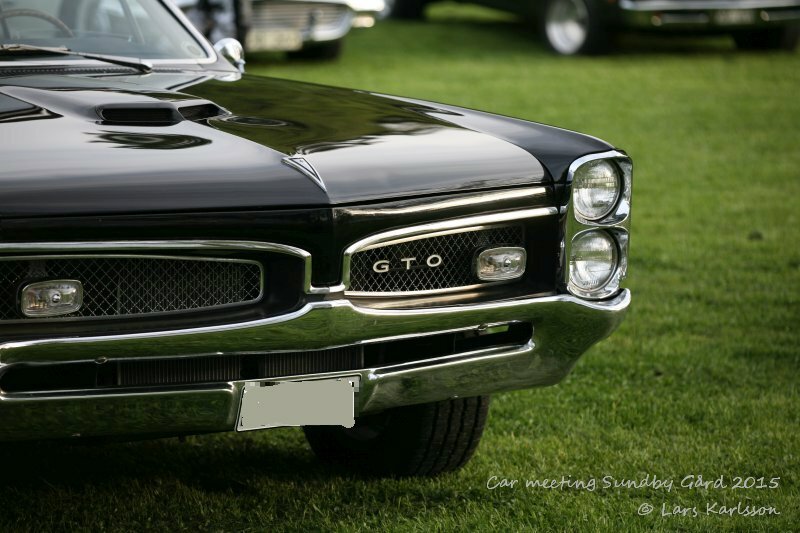 1967 years Pontiac GTO, this are the classic GTOs that most people look for. 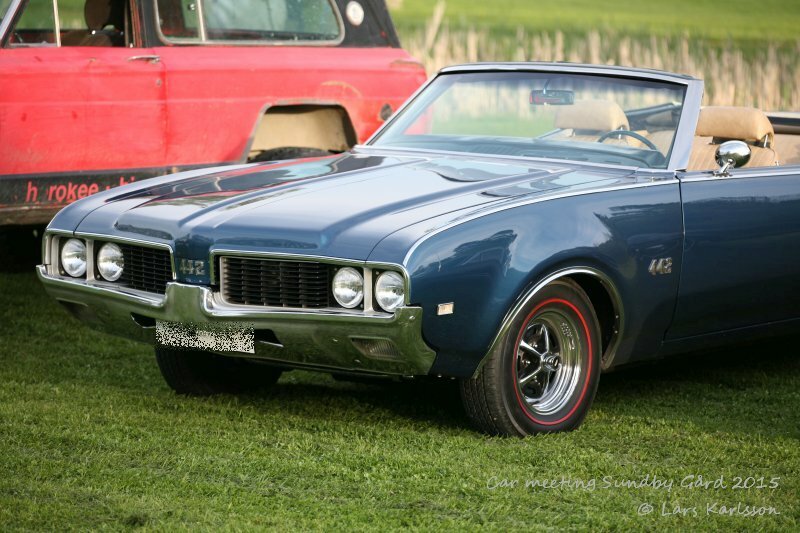 1969 years Oldsmobile Cutlass 442 muscle car. 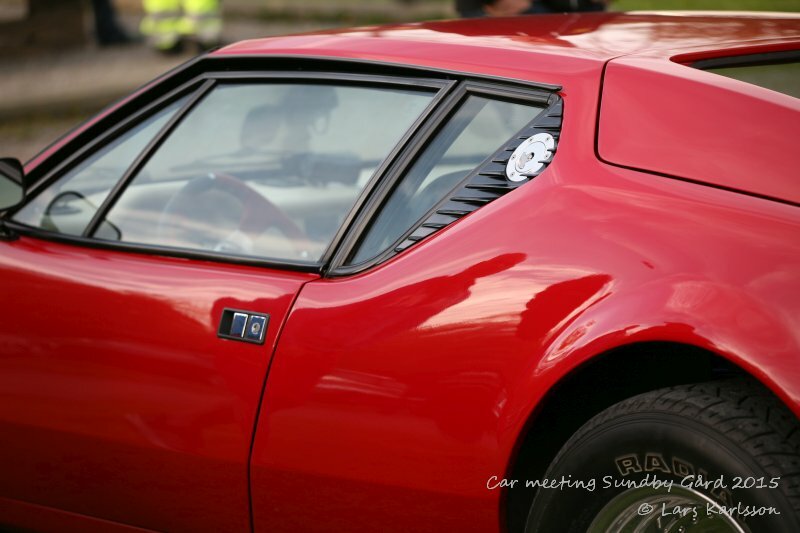 1973 years De Tomaso Pantera, it have a mid engine 5.7 liters V8. 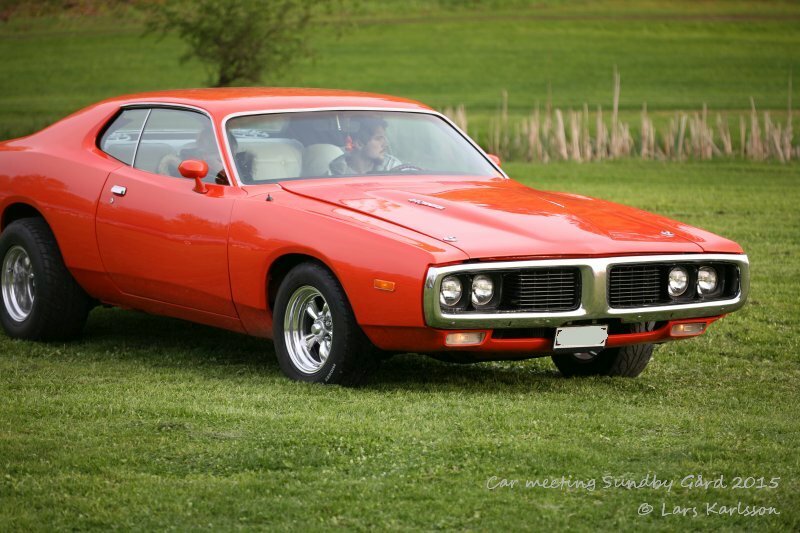 1973 years Dodge Charger with a big block 440 engine, not as many horse powers as the years before, but still a muscle car from early 1970s. A Ford? A mild Hot Rod, 1930s. Chevrolet from 1960s, maybe it have a big block 454 engine. 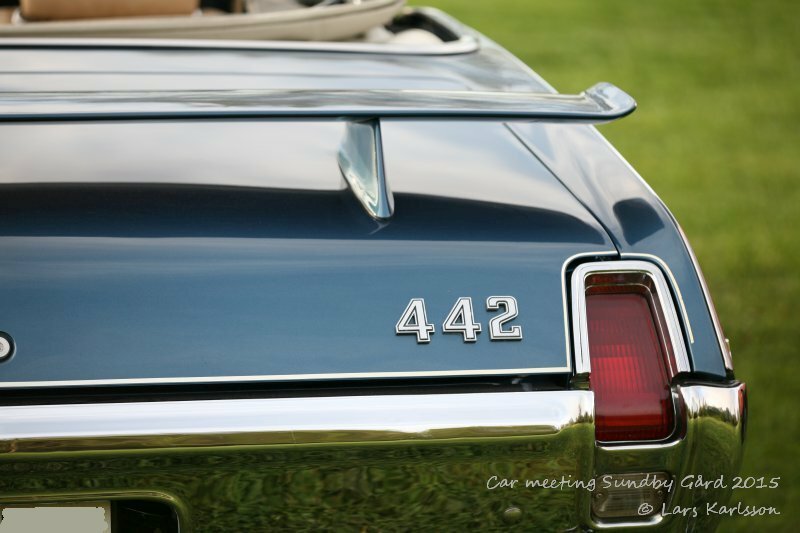 But 454 engines came later so it's not original. A Ford Mustang fastback 1967, it was with a Mustang like this but a 1968 years 390 GT model Steve Mcqueen drove in the movie Bullitt. A very famous car chase. 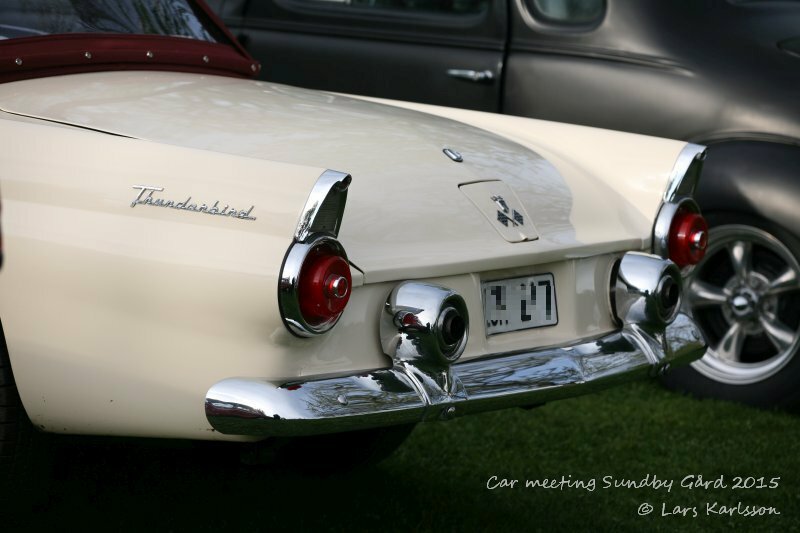 1959 years Ford Thunderbird, now it have become bigger and is now a four seater. Welcome back next Wednesday !